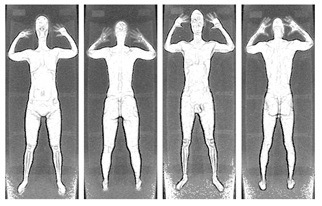 According to reports, the TSA is removing backscatter full-body scanners, which use very small amounts of ionizing radiation, from major airports and replacing them with less-controversial millimeter wave scanners. But those X-ray scanners aren’t going to the Museum of Bad Ideas; they’re being shipped off for use at smaller airports. Even though most scientists believe that radiation from the backscatter scanners pose no risks to travelers, safety and privacy advocates have asked why these devices continued to be deployed when millimeter wave scanners, which use radio waves and produce an image that does not reveal the subject’s naked body, are available. And while some major airports, like Boston’s Logan International, have replaced some of their backscatter machines with millimeter wave scanners, the TSA says the X-ray devices are just being shuffled around to other airports. The TSA says that privacy and health concerns were not behind its relocation of the backscatter devices. Instead, it’s a matter of staffing requirements and processing time. Millimeter wave scanners seem to offer a more expedient and efficient scan of passengers. Which of course makes us wonder why the TSA would continue spending money on the backscatter devices.